What's red, sweet and ready to jump some waves? 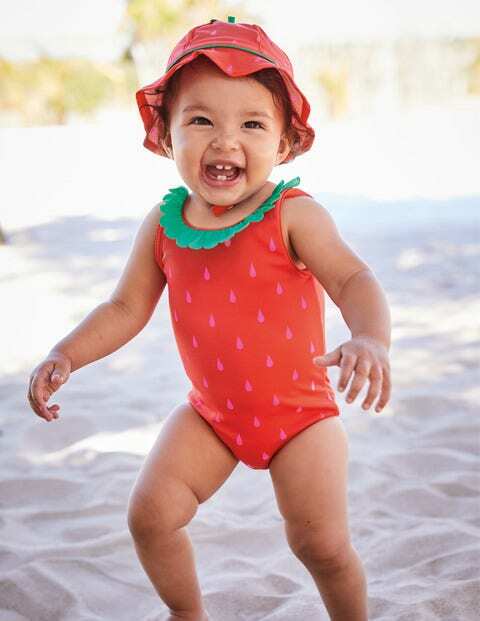 Your little one in this bright strawberry swimsuit, of course. Baby will love the ruffle collar and you'll love the elasticated, easy-change fit and that it's washing machine.